The smallest knives in the Flesheater series still pack the punch of their larger cousins, maintaining both comfort and control in the hand along with maximum efficiency during use, but in a new, compact size range for everyday carry. From top to bottom in the photograph, the top knife is the Flesheater 10 ‘Orion’ 3-finger, the middle knife is the fixed blade size of the first Flesheater tactical folder in the works, and the bottom knife is the Flesheater 13 2-finger model. 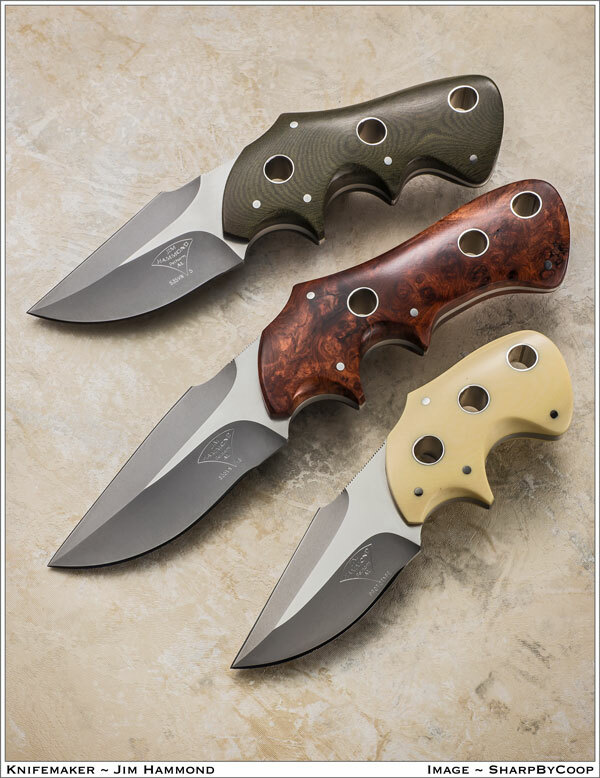 All three models utilize 5/32” thick steel with a tapered tang, double hollow ground blade bevels, hand-filed thumb serrations on the blade back aft of the Navarro Hook, and the distinguishing stainless lined thong holes in the scales, which provide added grip purchase plus lashing capability. 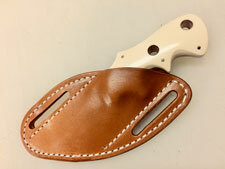 As shown in the photograph, the handle materials used (from top to bottom) include green linen micarta, Honduras Rosewood burl and white micarta. Each of these had custom upgrades from the base knife, which included a hand-rubbed satin ricasso and perimeter along with mirror finished scales. The base priced version of each model includes a 440-C stainless blade, black micarta scales and a glass bead-blast finish overall. 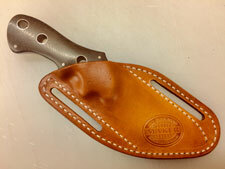 Sheaths and custom upgrade features (other steels, finishes, handle materials, and hand-filed handle serrations, etc.) 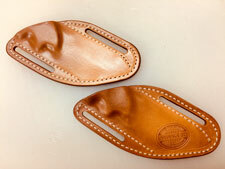 are priced separately in addition to the base price for each model.